Hamsasana or “Swan Pose” can be categorized under the balancing Yoga asanas. The focus required to perform Hamsasana develops concentration. The final pose of Hamsasana resembles a swan. In Sanskrit, ‘Hamsa’ means the swan and ‘asana’ means the pose, and hence the name Hamsasana. This pose can be used as a preparatory pose for Mayurasana. Spread a Yoga mat and kneel on the mat with the legs slightly apart. Place the palms flat on the floor in such a manner that the fingers point towards the feet. Bring the forearms and wrists close to each other so that they touch each other. Lean forward so that the abdomen rests on the elbows and the chest on the upper arms. Take the legs backward in a full stretch, until they are straight. Make the body straight like a plank, keeping the feet together and toes resting on the floor. Slightly raise the head and fix the gaze at a point in front at the level of the eyes. In the final position, the entire weight of the body is supported by the tip of toes and the palms on the ground. Remain the final pose for as long as is comfortable without straining. If the final pose is held for a short time hold the breath out, but if the pose is held for an extended period, breathe slow and deeply. To come out of the pose, lower the knees first and then sit up in Vajrasana. Beginners should hold the final pose for a few seconds. But once perfection has been achieved through regular practice, the pose may be held for up to 3 minutes. People suffering from high blood pressure, hyperacidity, peptic or duodenal ulcers, and hernia should not practice this asana. Pregnant women should not practice Hamsasana. Hamsasana stimulates and massages the abdominal organs. The asana reduces the belly. The swan Pose strengthens the arms. Hamsasana improves digestion and remove constipation. The focus required to perform Hamsasana develops concentration. Hamsasana is a preparatory pose for Mayurasana. 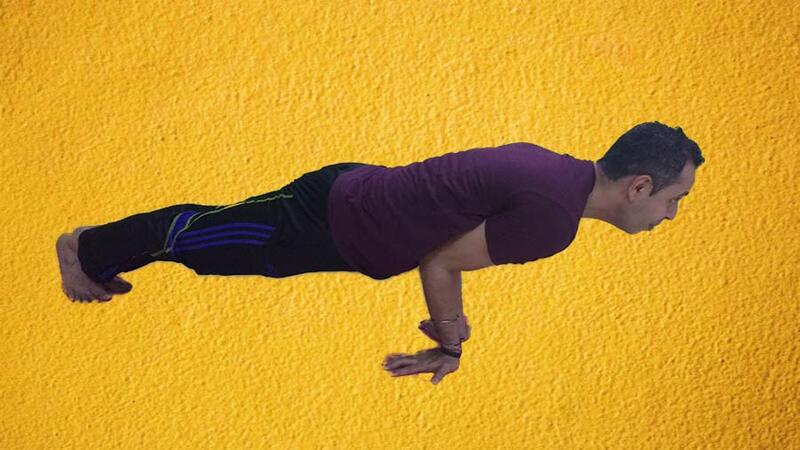 People who do not have enough muscular strength to perform Mayurasana, can practice this asana as an alternative to it.